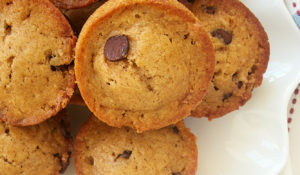 Sweet and salty never tasted so good as these Fleur de Sel Chocolate Chip Blondies! If the baking lords ever decide the whole sweet and salty thing is played out, please don’t tell me. I’d rather live in oblivion, happily eating salty, sweet treats. 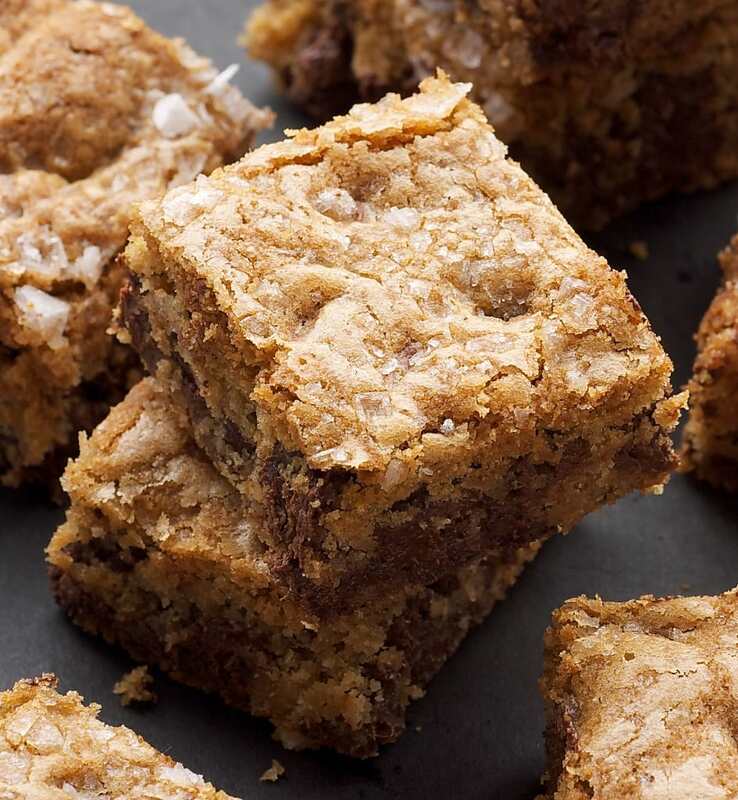 These Fleur de Sel Chocolate Chip Blondies are a very fine example of how sweet and salty play well together. First of all, you have brown sugar blondies that can barely contain all the chocolate chips in them. Then, that’s topped off with lots of beautiful sea salt for a salty addition that really takes them over the top. Let’s talk a little about fleur de sel. It’s a specific kind of sea salt that tends to have a bit more moisture content than regular sea salt. It gives you a bit of a different flavor experience, but it can also be fairly expensive. 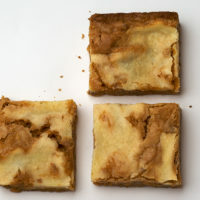 If I happen to have it, I’ll use it for something like these blondies. But more often than not, I use whatever large-flake sea salt I have on hand. 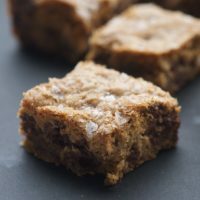 The difference is probably not noticeable, so I definitely wouldn’t recommend procuring some fleur de sel just to make these blondies. You can make these slightly salty or super salty or somewhere in between, depending on your tastes. I wasn’t shy with the salt, but if you want a more subtle saltiness, then just cut back on the amount sprinkled on top. 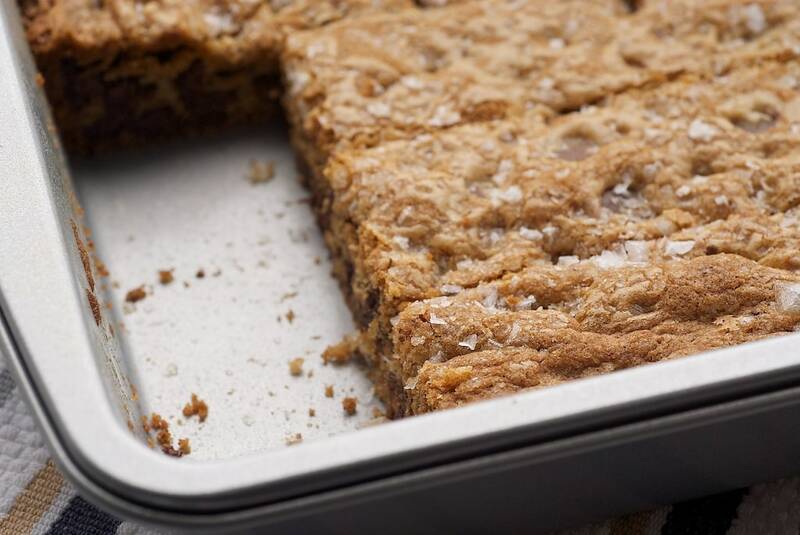 You can also omit the salt mixed into the blondies if you’d like less salt but want that sprinkling on top. 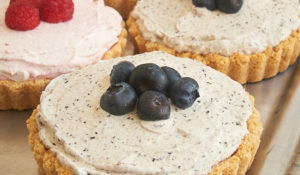 These were a big hit with us and with some friends who were willing taste-testers. 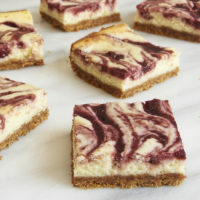 They do have quite a sweet/salty punch, so it’s easy to cut these into small bars so you’ll have plenty to feed a crowd. Or, just keep them for yourself. I’ll never tell. 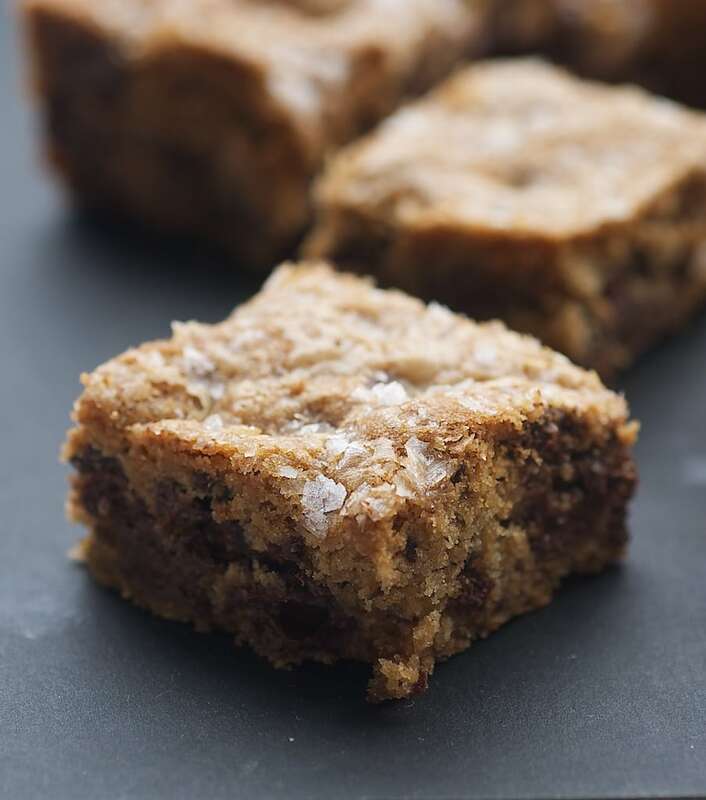 Fleur de Sel Chocolate Chip Blondies are packed with rich chocolate chips and topped with a sprinkling of coarse sea salt. Preheat oven to 375°F. Grease a 9″x 13″x 2″ baking pan with butter or cooking spray. 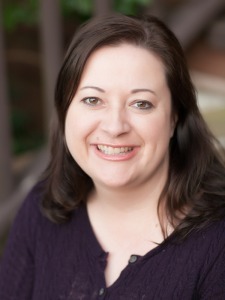 Whisk together the flour, baking soda, and pinch of salt. Set aside. Using an electric mixer, beat the butter until light and fluffy. 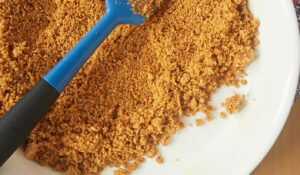 Gradually add both sugars and mix until light and fluffy. Add the eggs, one at a time, mixing well after each addition. Mix in the vanilla. Spread the dough evenly into the prepared pan. Sprinkle the top of the dough with fleur de sel. Bake 30-35 minutes, or until the center is set and the top is golden brown. Cool completely in the pan on a wire rack before cutting into bars. 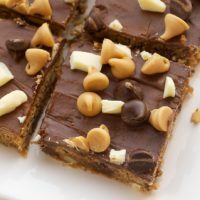 These brownies are lovely! I love the small amount of fleur de sel on top. The perfect addition! These look delicious! I’m thinking browned butter would make them even better. I love that toasty browned butter flavor. oh, oh, oh… i love anything with fleur de sel because it sounds so fancy…made ina garten’s fleur de sel caramels the other day and so this will be next on my list. 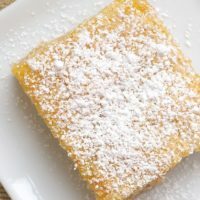 😉 while we’re on the subject of french-ish food, i;m not sure if you have a beignet recipe, but i just posted one. 🙂 thanks for your beautiful photos and mouthwatering recipes. 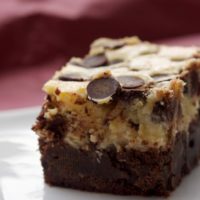 Yum – I’m making the recipe you posted for chocolate chip cookie dough cheesecake bars this weekend (again) but these will be next on my list! Oh these look really good. I love salty/sweet desserts! I’ve been WAITING for a salty cocoa treat and you’ve just inspired me! Wonderful photographs as well, thanks for posting! Are you kidding me! 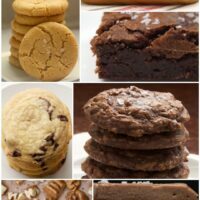 These might be the perfect treat ever!!! I can NOT wait to try them.